Oh, if only this was an actual LEGO set. Well, actually, it can be if enough people vote for it, thanks to LEGO's Ideas program. Which I'm guessing people will do, because even as a pitch it looks as good as you'd expect from the finished product. 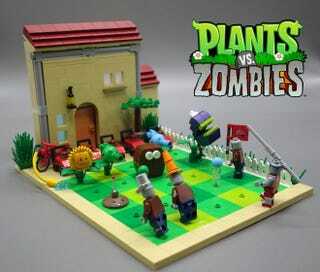 The work of killarkai, the set includes the house, yard, plants, zombies and even the mowers.